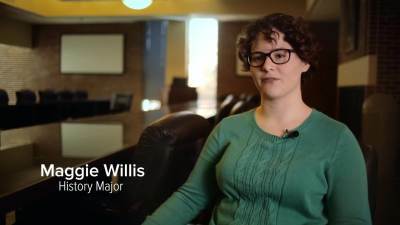 Learn about the History Major at JBU. I think History is a great way to look at the world through a different perspective. I think if you're able to contextualize today's news in a broader story, I find that very practical. I find that useful. I think sometimes it's interesting to talk about historical things and leave them in the past. But most of the time, I like to talk about things in relation to their relevance for today. You get to know your professors really well. And you can go to them if you have questions about your research, or your career. So you have smaller classes and so it's possible to have conversations, real conversations. You can find History wherever you go and it's just a matter of making the most of the connections you can find here. You can't get to today without a past so that's why the past matters.